Another day, another case of suspected poaching in Montana. A small mule deer buck was shot in the neck and left to waste about 20 miles southwest of Glasgow. 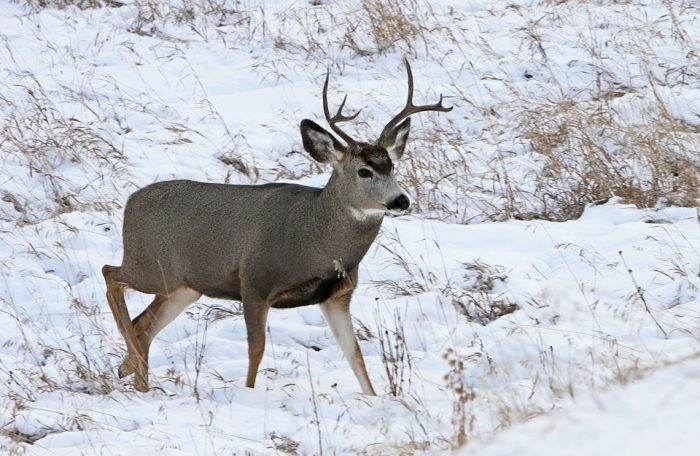 A Montana Fish, Wildlife and Parks new release said the buck was shot on or around Dec. 8. The incident occurred on BLM land about one mile south of Grub Reservoir and just 20 yards off Beaver Branch Road. Anyone with information about the crime is encouraged to call Warden Todd Tryan directly at 406-230-0067, or call FWP’s 24-hour wildlife tip line at 1-800-TIP-MONT (1-800-847-6668).